Dortmund - It has not exactly been a golden Autumn for Borussia Dortmund as yet. While all is rosy in the UEFA Champions League, last season's Bundesliga runners-up are struggling on the home front and already well off the pace in the title hunt. Seven points from seven games is a meagre return for Jürgen Klopp's troops by their own high standards. The recent form curve, moreover, has been downwards, with the last four games yielding just a single draw at home to VfB Stuttgart alongside three defeats, leaving them a lowly 13th in the table. Grounds for a spot of self-doubt, perhaps? Not a bit of it. Problem number one of late has undoubtedly been the extensive injury list which has left BVB shorn of an entire creative department - , , , and . That adds up to quite a deficit for any team to try and recover, but there is light at the end of the tunnel now, with Reus, Mkhitaryan and Gündogan all looking good for at least a place in the squad travelling to 1. FC Köln on Saturday. “After 14 months out, Gündogan's itching to get back in the thick of it, we can hardly keep the brakes on him. 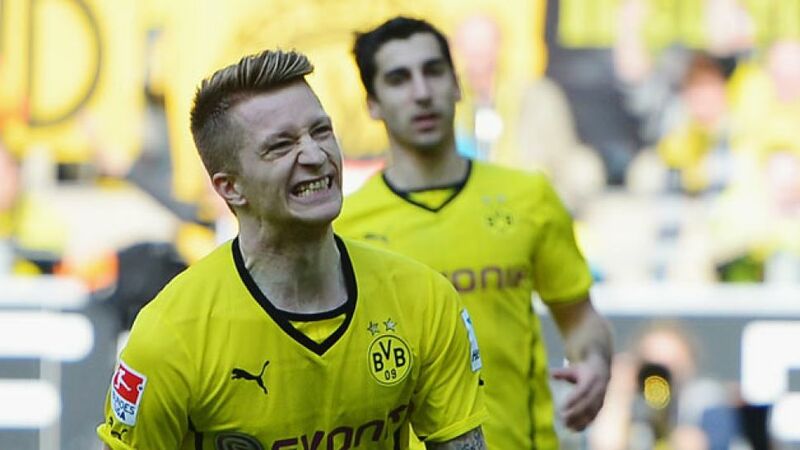 And the same goes for Reus and Mkhitaryan,” said Klopp. With the vital spark too often missing in his side of late, the coach is as keen for that particular trio to return to the fray as are the players themselves. A fresh start at Köln on Matchday 8 is thus top of the agenda. With that unified sense of purpose, and their star names on the comeback trail, Dortmund are doubly determined to get back on track and try to make some inroads into an already intimidating ten-point deficit on league leaders and arch-rivals FC Bayern München.